After Carolyn Rose Bennett had a stroke, her husband David moved her to a nursing home. 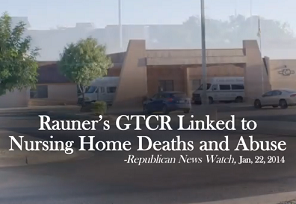 She would later die of neglect at the Bruce Rauner-owned facility. To learn more about who Illinois Republican Party voters chose to be their candidate for governor visit Republican News Watch.